Dilmah created Resplendent Ceylon to create a unique trail of boutique luxury resorts across Sri Lanka, tagged "Resplendent Journeys". Resplendent Ceylon aims to offer the upscale traveller a range of authentic cultural experiences while contributing towards local communities and the environment through the MJF Foundation & Dilmah Conservation. 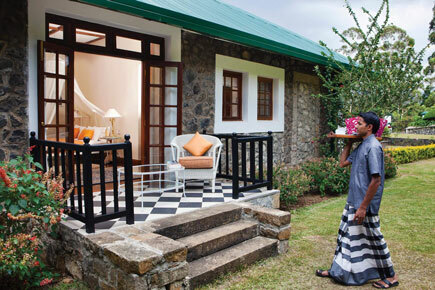 The first property Ceylon Tea Trails opened in 2005 as the country’s first Relais & Châteaux, an iconic collection of five colonial era tea planters’ bungalows restored to impeccable style, to offer a taste of gracious living in 26 suites and rooms, with butler service and original furnishings, accompanied by gourmet meals. Walking trails connect the bungalows which are from 2km to 15km apart - follow the Tea Trail through scenic Ceylon tea gardens from one unique bungalow to the next, staying a night or two at each or just laze in one. 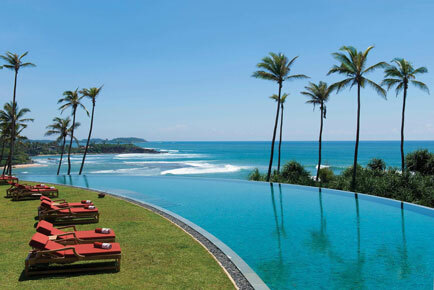 Cape Weligama, a luxe cliffside retreat, sits on a stunning 12 acre Indian Ocean headland near Galle, where 39 private residences and master rooms have been designed by renowned architect Lek Bunnag. Each of the spacious residences is surrounded by a flower-filled garden, 15m infinity edge pool and attended to by a butler. Accolades Cape Weligama has received include Conde Nast Traveller Hot List 2015 - Most Exciting Hotel Openings, Travel & Leisure USA, IT List 2015 - Best New Hotels On The Planet, Tatler Travel Guide 2015 - Best New Hotels, House & Garden - The Most Beautifully Designed Hotels In The World. 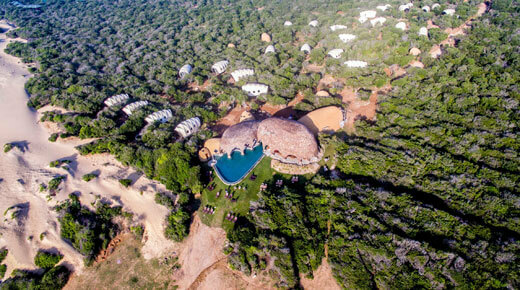 Opened in end 2016, Wild Coast Tented Lodge in Yala National Park, comprises of 28 vaulted tented suites, and offers the comforts of a traditional luxury hotel, but with the excitement of a safari-style wilderness experience. Further, the premier global luxury travel magazine, Condé Nast Traveler unveiled Wild Coast in its Top 20 Readers’ Choice Awards within a year of its opening. A tree house resort near Sigiriya, in the Cultural Triangle, also designed by Lek Bunnag will follow and the collection will be complete with a beachside resort in Trincomalee, in north east Sri Lanka.